The prosthetic frameworks from Invibio offer impressive statistics and benefits whent hey are compared to more traditional solutions, of Titanium based implants. At Invibio, innovation in the latest polymer technology has seen the release of their PEEK based implants, which is a very high performing plastic. 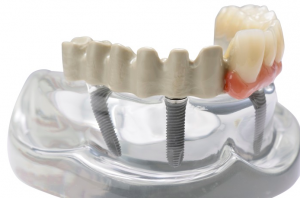 This can lead to a much better implant survival rates for customers (up to 10% longer), which means dental implants can be enjoyed for longer and can be replaced less often. Similarly impressive, up to 5x less bone less can also be expected for the customer and all of this equates to a much better oral health quality of life for the end user!